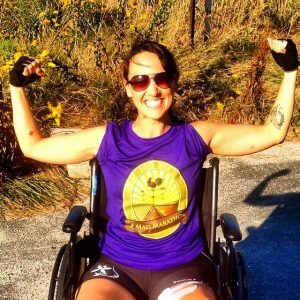 Pursuit Athletic Performance is thrilled to support Colleen Kelly Alexander in her quest to help Girls On The Run of Southeastern Connecticut Solemates. Please join us for this new race! 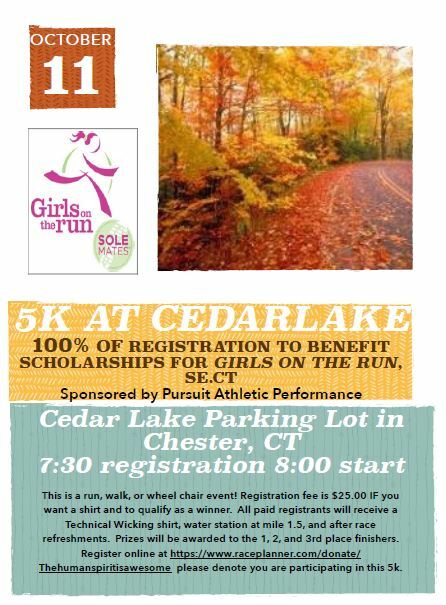 ALL (100%) REGISTRATION fees go directly toward providing scholarships for the Girls On The Run programs. For more informatoin on Girls On The Run of Southeastern Connecticut, go HERE!